Happy New Year! With the new year here we can expect some changes in the digital marketing world and 2019 is going to be a great year for marketing for your veterinary practice. 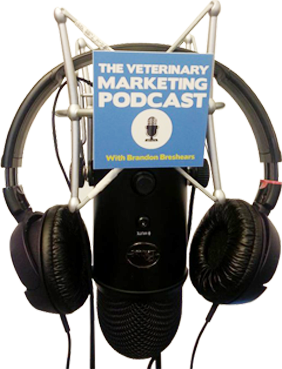 I go over the 3 marketing trends that will help the growth of your veterinary practice this year. I also share some predictions of what could possibly happen this year with social media platforms and how that could affect your marketing. Digital marketing is changing faster than ever before, and if last year was any indication, 2019 is going to be CRAZY! I think that there will be a massive opportunity for veterinary practices who keep up to date with the changes that come out. Privacy issues and public perception will play a huge role in how Facebook and other tech giants handle their product updates, ad guidelines and user guidelines in general. For my predictions of what we can possibly see in 2019, I think we will see an increase in the usage of Instagram for ads. Instagram will become a very popular platform to not only use as a social media platform for your veterinary practice to help build a sense of community by engaging with your followers but as a platform to use to advertise your marketing to get new clients through yoacur doors. As we talked about a little last week, Email marketing will be another great tool for you to use for your practice. Email marketing is one way you can reach even more people to get to know your practice and become more engaged with your clients.